We match self-selected or prison staff nominated prisoners with our team of trained volunteer mentors. These mentors meet to build relationships and self-esteem, and provide consistency and accountability in the lives of our service users. Where possible, these relationships continue as the service user completes their sentence and is returned to the community. We teach empathy and build positive, sustainable support groups through our group work in prisons. Some of our programmes include Parenting, Recovery, Alpha, and Music Nights. 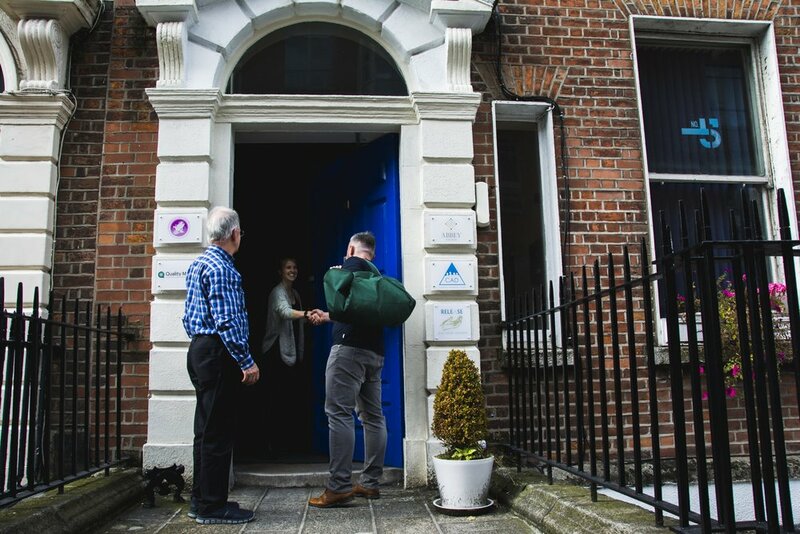 Release offers our office's basement living and kitchen space as a neutral venue for escorted prisoners to meet with their loved ones outside the prison environment. Leaving prison is challenging - navigating accommodation, entitlements, a changing city and technology can be overwhelming. Release helps ex-offenders build practical plans for reintegration and provides referrals to our partners in Care After Prison, Jobcare, Pathways, Tiglin, and others. Release matches ex-offenders with a church in the area to which they are resettling. A member of the congregation may meet the individual at the gate, and serves as a point of contact for social support and practical help moving forward. Release trains churches to welcome people with offences into their community, and facilitates tailored safeguarding contracts between the church and service user.